Alice Lex-Nerlinger belonged to the artistic-political avantgarde of the Weimar Republic together with Hannah Höch, Lea and Hans Grundig, John Heartfield, the Cologne-based “progressives” and her husband, Oskar Nerlinger. Alice Pfeffer, married name Nerlinger, pseudonym Lex, was born in 1893 – the youngest of six children – to the owner of a gaslamp factory on Moritzplatz in Berlin-Kreuzberg. Between 1911 and 1916 she studied painting and graphic art at the teaching institute of the Museum of Arts and Crafts. Her fellow students included Hannah Höch, George Grosz and Oskar Nerlinger, and she was taught by Emil Orlik, among others. Personal experience of the First World War and the atmosphere of artistic experiment in 1920s Berlin created a fount of ideas for Alice Lex-Nerlinger's artistic-dialectic works: heroism versus the soldier's death, snob and war cripple, lady and proletarian woman, man and machine, capital and labour, state and censor, and not least, the misogynist § 218, making abortion into an offence punishable by imprisonment at that time. Her works bear corresponding titles: »Field Grays Yield Dividends«, »For Profit«, »Work, Work, Work«, »Poor and Rich«, »Censor« and »Paragraph 218«. She found stimulus and confirmation in groups of artists with similar attitudes: the »Abstrakten/ Abstracts«, who changed their name to the »Zeitgemäße/ Contemporaries« in 1931, and the »Assoziation revolutionärer Bildender Künstler Deutschlands« (Association of Revolutionary Fine Artists in Germany, the »ASSO«) founded in 1928. Like Alice Lex, this group rejected Expressionism, Cubism and Dadaism as bourgeois l’art pour l’art. She expressed her political convictions by joining the German Communist Party (KPD) along with Oskar Nerlinger in 1928. A photograph or a photogram, a newspaper cutting, and the striking contrasting colours red and blue provided the ingredients for Lex's socially critical montages. 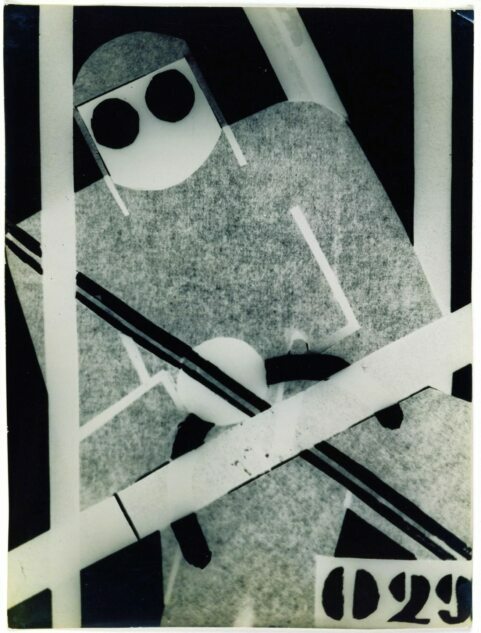 In order to work on her themes she specialized in the techniques of photomontage, photogram and coloured spray painting. In sequential groups of work and by creating rhythm and multi-dimensionality, she succeeded repeatedly in translating the complexity of political statements into simply structured individual images or dialectic compositions. In 1933 Lex-Nerlinger was expelled from the »Reich Association of Fine Artists« by the National Socialists and banned from practising her profession or exhibiting. Censorship and this ban on working drove Alice Lex into artistic »inner emigration«, although she could not be prevented from engaging in underground political activities against the regime. She did manage to survive during National Socialism in Germany, but destroyed some of her works because she feared persecution and house searches. After the Second World War she worked in the GDR primarily on official portrait commissions and succeded in setting up a new existence together with Oskar Nerlinger. In face of 21st century globalization's consequences for society, her critical themes like the anti-war image »Field Grays Yield Dividends« from 1931 have lost none of their relevance, even today.